The final Photojournalism I assignment was to photograph a local business owner using off camera strobe. Cate used a tilt-shift lens and strobes to create this dynamic portrait of dog trainer, Adam Witherspoon with his German Shepard, Robby. 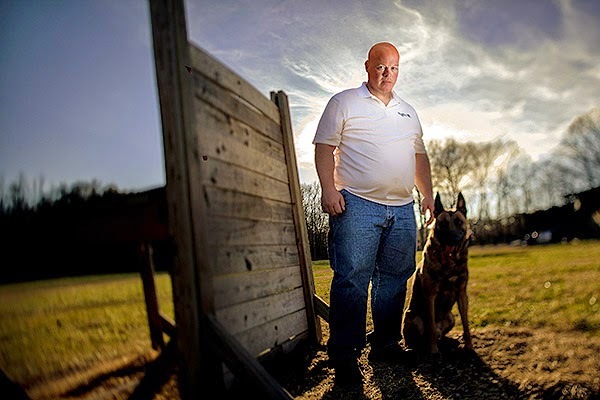 Witherspoon owns a multi-purpose dog training facility in Stoneville, N.C. Many thanks Elena. (:- D Have the happiest of holidays!